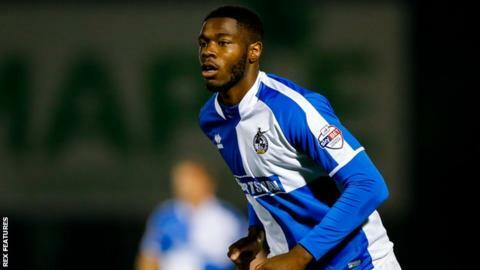 National League side Torquay United have signed striker Nathan Blissett until the end of the season. Blissett, nephew of former Watford and England forward Luther, was released by Bristol Rovers earlier this month after completing a loan spell with Lincoln. The 25-year-old scored six goals in 29 games for the Pirates after signing from Kidderminster in November 2014. Blissett was also sent out on loan to Tranmere in August, scoring one goal in five National League games.